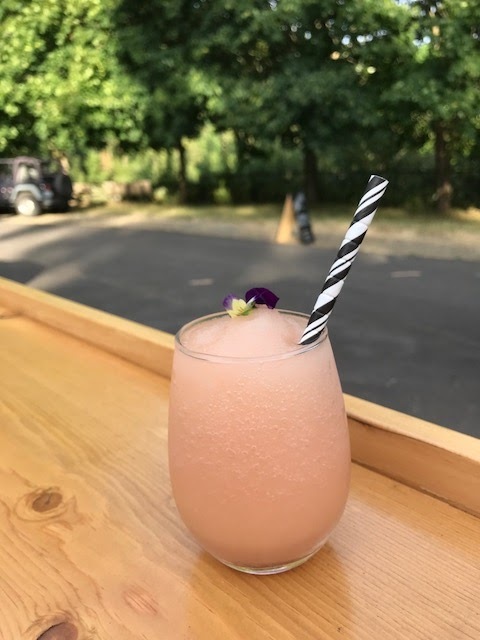 It's pretty much guaranteed that if you put pretty glasses of frosé, soft serve cones with sprinkles, and a pulled pork sandwich on the menu of your hipsterfied drive-thru, I will show up opening weekend. 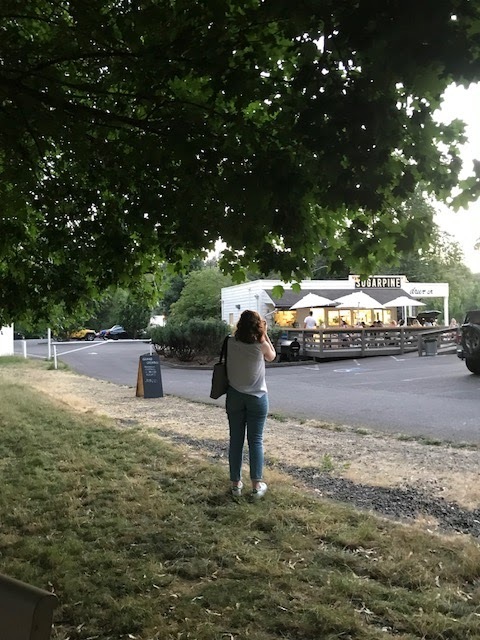 Even if your restaurant is located in Troutdale. 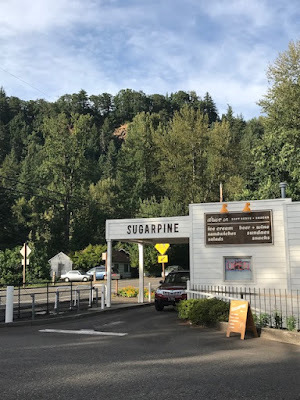 As part of Amanda's going away weekend (sob), we drove the 30 minutes out to Troutdale last Friday to check-out the recently opened Sugerpine Drive-In. 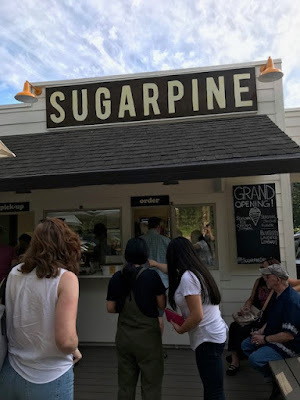 Located on the Sandy River right across the Troutdale Bride, Sugarpine boasts an impressive restaurant pedigree with owners Emily and Ryan coming from such Portland staples as Beast and Pok Pok. 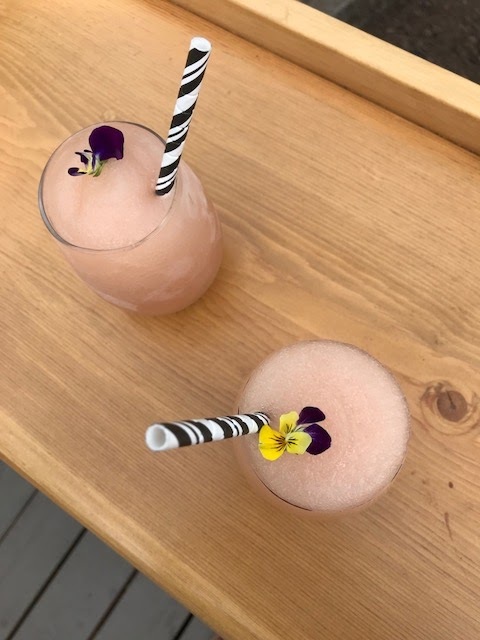 We kicked things off with the made-for-Instagram Frozen Rosé Slushies ($8). I mean, how pretty is that? The edible flower.. the cute striped paper straw... Someone knows what they're doing social media-wise. They were good too - not watery and tasteless like some frosé. For dinner, Amanda and I split the Waffle Grilled Cheese ($10) with tomato, onion jam, and bacon and the Pulled Pork Sandwich ($10). 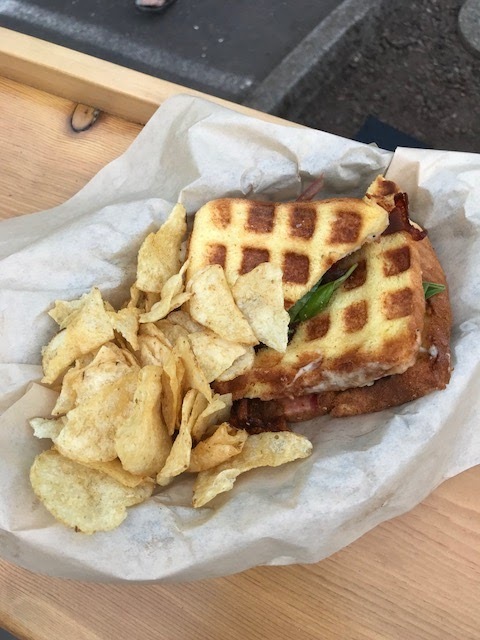 The grilled cheese was delicious, though significantly less photogenic than the frosé (you can't win 'em all!). Definitely add all the fixin's even though the price shoots up from $6 to $10. Amanda especially appreciated the potato bread bun which, in her opinion, is not used regularly enough here on the west coast. We also liked the Pulled Pork. 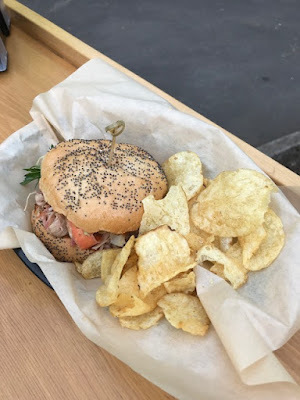 While it was nothing out of the ordinary, I enjoyed the addition of carrots to the slaw which gave the sandwich some nice crispness. Of course, we weren't going to leave without some soft serve. 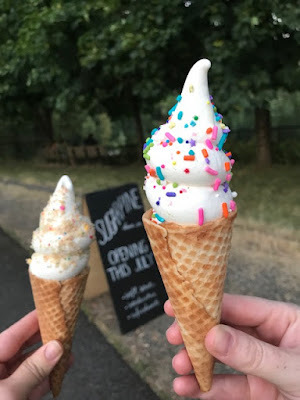 I opted for a kids size Vanilla Sugar Cone with Birthday Cake Crumb ($3) and Amanda did the same but with Sprinkles. While I'm not sure I would make the drive out to Sugerpine solely for a visit there, it will definitely warrant a stop if we're hitting up the adidas outlet or heading to or from Hood River. I'll also note that we were a little surprised there was no burger on the menu. 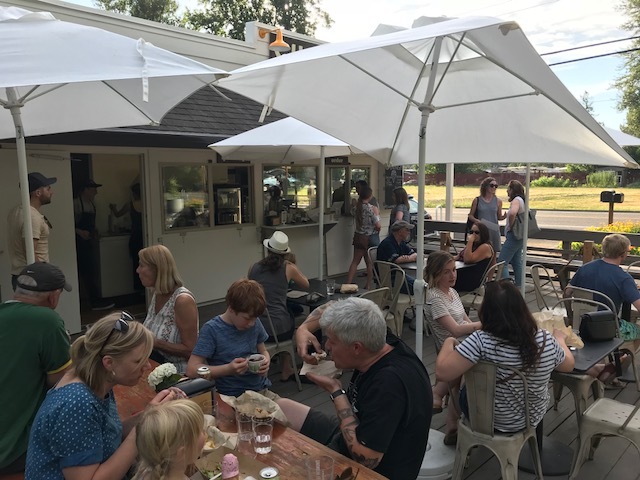 Seems like a must-have for an old-school drive-thru, but given the owners' chefly background, it wouldn't be surprising if the menu is changed up more frequently than the average diner. Guess we'll have to wait and see!